Whilst the Malmesbury community in the Western Cape return to routine, the scars of the mosque attack will remain a black mark in the town’s history. During this very challenging time one thing stood out for the world to see – unity. This small, quiet town stood firm and supported each other despite their various backgrounds, faiths and cultures. The Muslim Judicial Council (SA), on behalf of the Malmesbury Mosque Committee and the Malmesbury Muslim community, would like to thank the Minister for Community Safety in the Western Cape, MEC Dan Plato, the Malmesbury Mayor Tijmen van Essen and his Municipality, all interfaith leaders as well as the South African Police Service (SAPS) and Hawks for their support during this challenging time. 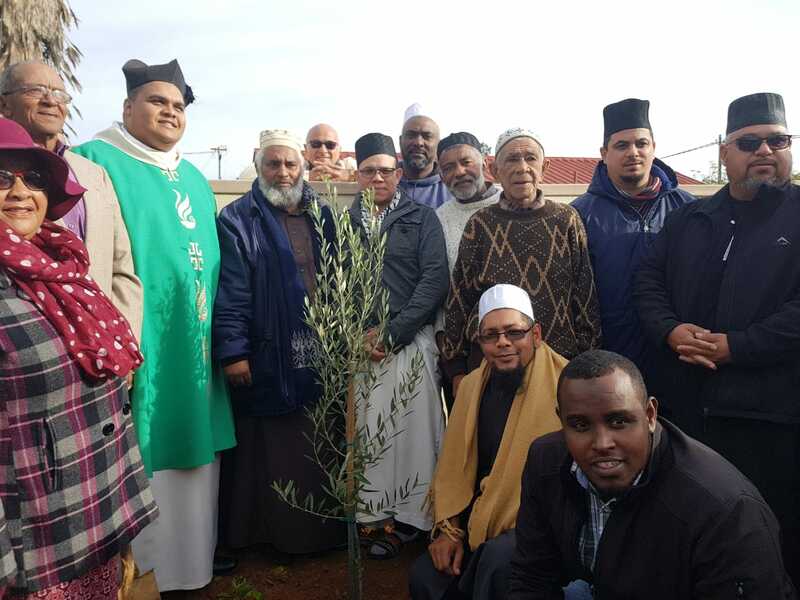 We sincerely thank Die English Kerk’s congregants, led by Father Craig, who handed over (and planted) an olive tree as a display of love, unity and solidarity toward the Malmesbury Muslim community on Sunday. Sentiments like those shown showcase that South Africans can live together in a multi-religious, multi-cultural society with respect, reverence and understanding. Lastly, we note that many rumours have spread via social media and even mainstream media regarding the motive of the attack. We humbly request that we (including the media) do not jump to conclusions without the necessary facts. Hawks and SAPS need finalize their investigation. We are certain they will share their findings as soon as possible. We pray that an incident like the one seen last week is never repeated in South Africa. It is the responsibility of leaders as well as peace-loving citizens to promote peaceful co-existence in our country.